New book, 133 pages. 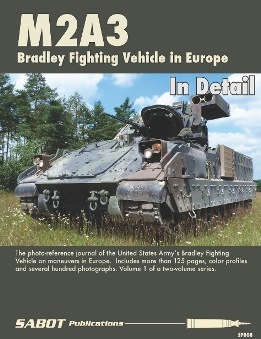 Volume 1 of 2 volumes on the M2A3 Bradley, covering Bradleys in Europe, in green and camouflage, at Grafenwoehr and on maneuvers in various countries in Europe. Includes a walkaround, color profiles, and more than 130 pages of photographs.